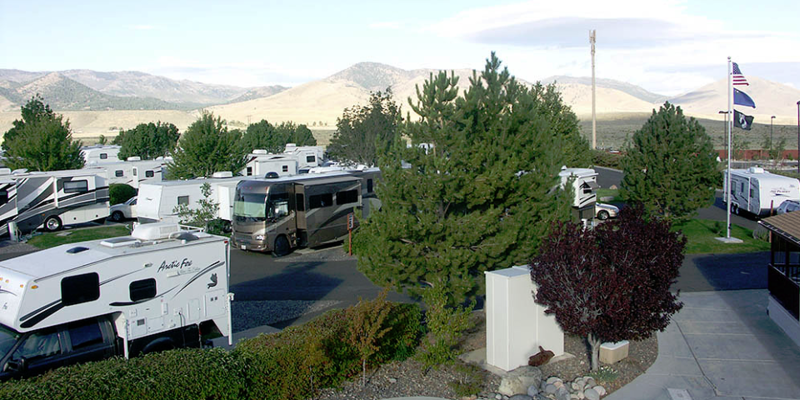 Bordertown RV Resort is an excellent campground on the outskirts of Reno, Nevada. The campground is in an easy location, with large, level, and pleasant spaces. They have a great dog run and a strong wifi signal. They also have horseshoes, a large recreation hall, lawn bowling and nature trails. On site restaurants, gaming, and entertainment too! could you send me some ino. Rose, you’ll need to contact the campground for that information.